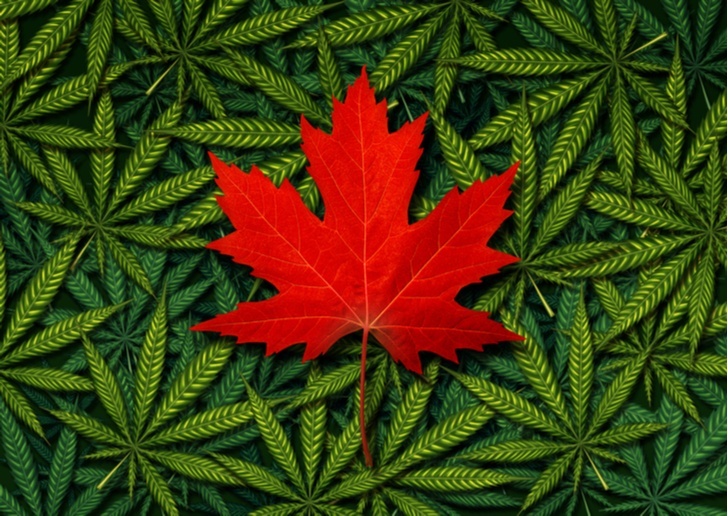 Home / Market Insight, Financial Articles / Are Pot Stocks Heading Into a “Sell The News” Event? Are Pot Stocks Heading Into a “Sell The News” Event? Pot stocks have been absolutely on fire over the past few months. It all started with beverage giant Constellation Brands (NYSE:STZ) pouring $4 billion into leading cannabis company Canopy Growth (NYSE:CGC) on August 15, a sign that big money was finally moving into the nascent cannabis sector. Pot stocks have been on fire ever since. CGC stock is up 100% since then. Aurora Cannabis (OCTMKTS:ACBFF) has rallied 150%, while Cronos Group (NASDAQ:CRON) is up 70%. The biggest gainer, Tilray (NASDAQ:TLRY), is up more than 400% since August 15. The general consensus is that pot stocks are rallying into what projects to be a major catalyst on October 17, when cannabis becomes officially legal in Canada. This is a big day for the whole sector, and many expect it to be the beginning of a new era for pot stocks. This may very well be true. Longer term, this could be the day investors look back on in a decade as the day the cannabis market began on its hyper-growth trajectory. But, the near-term effects may not be so positive. It increasingly looks like October 17 will be a “sell the news” event for pot stocks. There is a lot of hype regarding how legalization in Canada will change the dynamics for this whole industry. But, the specifics imply a slow roll-out to start, and pot stocks in general aren’t priced for a slow roll-out. Thus, in the near term, I think all pot stocks are set for a valuation reset. Long-term, I think most of these pot stocks will rebound from near-term weakness, and maintain that CGC is the best investment in this space. There is a lot of potential in the cannabis market. When it comes to cannabis, there are many different applications across multiple verticals, from recreational smoking and drinking to beauty and skincare to pharmaceuticals and pills. Over time, as legislation globally moves towards legalizing cannabis, this market will expand into those verticals, and pot stocks will consequently head higher. But, in the near term, these red-hot pot stocks are priced for perfection. And more. Aurora trades at 110x trailing sales. Canopy trades at 135x trailing sales. Cronos trades at 215x trailing sales. Tilray trades at a whopping 400x trailing sales. Unfortunately, perfection won’t happen. It almost never does. But, it especially won’t happen with pot stocks and the national roll-out of legalized cannabis in Canada on October 17. These stocks are are priced for that roll-out to be hugely successful, and for early results to be enormous. That won’t happen. We are just days away from October 17, and there’s only one retail cannabis store open in British Columbia. There are none open in Ontario, which is Canada’s most heavily populated province. There have been supply chain and volume production issues, and many insiders expect this to lead to a huge supply shortage in the early stages. Overall, it doesn’t look like the early roll-out of legal cannabis in Canada will go that smoothly. After all, why should it? Cannabis is going from illegal and niche, to legal and mainstream. Such a massive transition promises to have hiccups. Those hiccups will create weakness in perfectly priced pot stocks. As such, October 17 is quickly turning into a “sell the news” event. Perfectly priced stocks always hit one of two things. Either they hit a speed bump, and they trade lower for a while before bouncing back and resuming their long-term uptrend. Or, they hit an inflection point, and they trade permanently lower as the bubble pops. I don’t think pot stocks will hit a negative inflection point any time soon. This market simply has too much long-term growth potential, and legislation trends are simply too favorable to knock pot stocks down for long. Instead, a slow roll-out in Canada is simply a speed-bump. Pot stocks will trade lower for a while, and then bounce back. The name to own in this space Canopy Growth. The others are highly speculative because there is little differentiating one pot stock from the next. But, CGC is different for a handful of reasons, including global sales leadership and massive growing capacity. Most importantly, though, Canopy Growth is different because of a $4 billion investment from Constellation Brands. This is the only massive investment into this space from a larger consumer goods or beverage company, and as such, CGC is the only pot stock armed with a powerful partner. Because of this, CGC is less risky than other pot stocks. As such, if you are looking to play the long-term potential of the cannabis market, Canopy Growth is the best way to do it. Pot stocks will inevitably be big winners in the long run. But, in their ascent to the mountain top, they will hit some major speed bumps. One such speed bump will likely be the roll-out of legal weed in Canada. The roll-out will be less successful than anticipated, and pot stocks will likely drop. But they should rebound from that minor sell-off and ultimately head higher due to strong long-term growth drivers. Article printed from InvestorPlace Media, https://investorplace.com/2018/10/are-pot-stocks-heading-into-a-sell-the-news-event/.